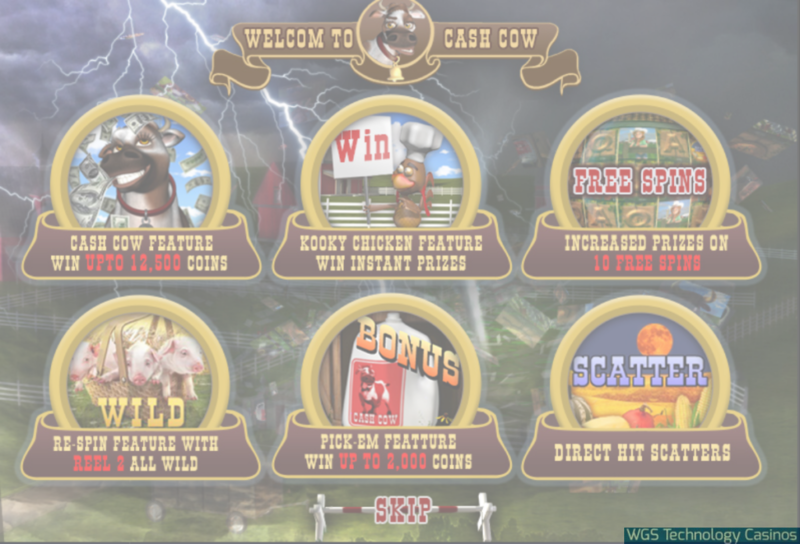 Cash Cow Slot Game from WGS Technology Software is offering Cash, Cash and more Cash in its latest Slot Game. Themed after a farmer and his money making Cash Cow along with other typical farm animals. Slot players are sure to be busy because of all its goodies. A Harvest Moon Super Scatter Symbol which multiplies the total stake how many moons are present. The Wild Pig basket symbol in the Cash Cow Slot game offers a Re-spin wild for free! Welcome to Livin The Life Casino Game by WGS Technology Casino Software. It’s the latest addition for the month of December and boy, playing this game makes all your dreams come true! 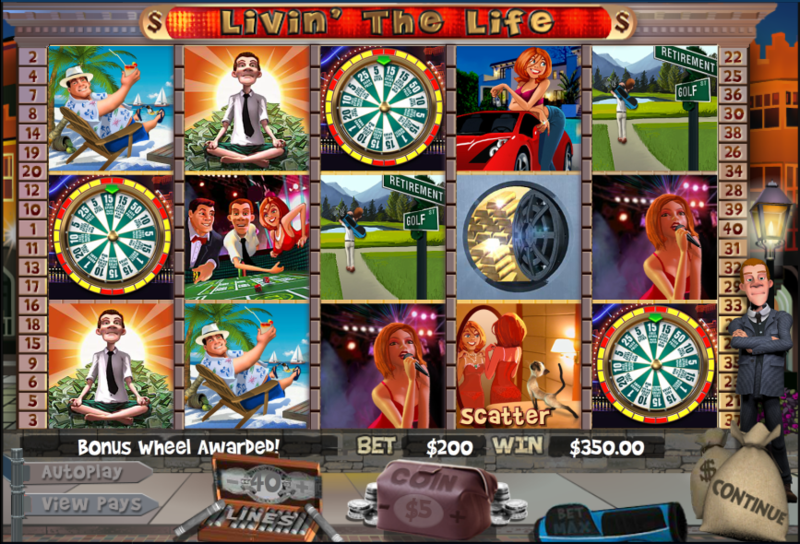 Livin The Life is a 40 Payline Slot game which is themed after most players dreams of retiring with loads of cash and livin the life. 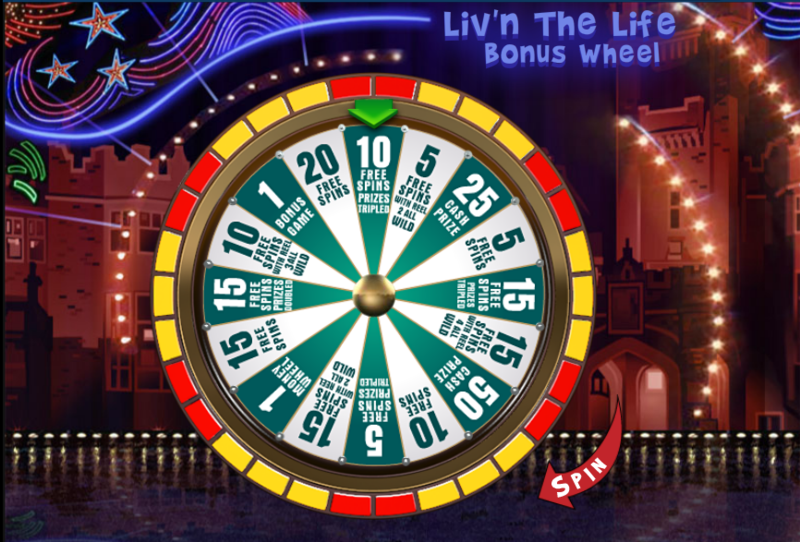 The symbols include playing on a Golf course, Relaxing on a Beach, Going to concerts, Craps Table, Sports Car, Air Balloon filled with cash and much more.. Livin The Life Casino Game features a Money Wheel, Bonus Wheel and Power Up Bonus. It’s a guaranteed hit with all the ways to win and ensure your Livin The Life. 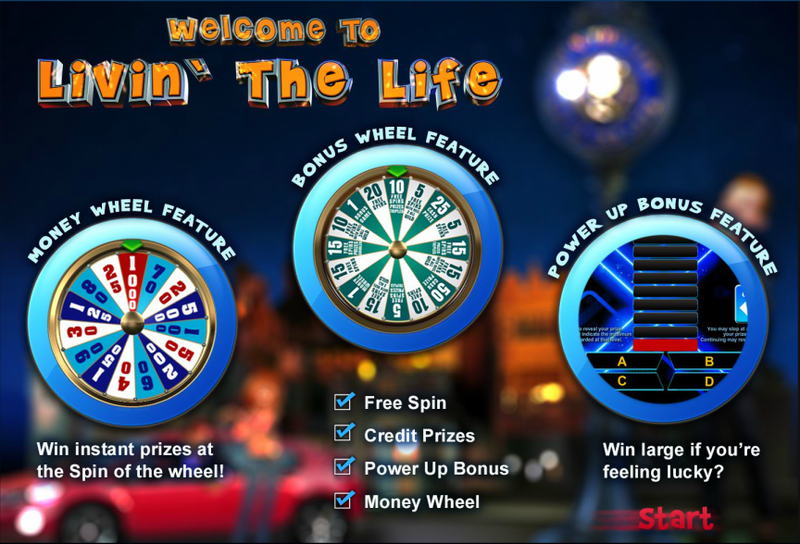 WGS Technology always listening to its players and gives back with an exciting game such as Livin The Life casino game. It’s another first for the casino software with this 40 payline slot. Coin size ranges from 1c to $5 making your max bet at $200. On the Money Wheel players can earn up to 1000X your wager amount if it lands on reels 1, 3 or 5. The Bonus Wheel if lands on reels 1, 3 or 5 earns Free Spins and Cash Prizes. Inside this wheel, it has a spot to land on the Money Wheel or the Power Up Bonus. Livin The Life Power Up Wheel is modeled after the hit TV show “Who Wants To Be A Millionaire”. You have to choose either A, B, C or D to reveal a prize. If you choose incorrectly you forfeit all your prizes earned. We can’t wait for WGS Technology Casino Software to make this game available in their winning Tournament Lobby as well as in its newly released Mobile Casino Tournaments For a listing on current slot tournaments click here. Its a new year, and WGS Technology Software has hit the ground running with the launch of its new 5 Reel Mine All Mine Slot Progressive. This is the latest exclusive game on the online casino software which will be available at Liberty Slots, Lincoln Casino and Miami Club Casino. Mine All Mine Casino Software is the first 5 Reel Progressive game to be offered on the WGS online casino software. The game boasts 3 types of progressives to be won, a Bronze, Silver and Gold with different Jackpot amounts. Mine All Mine is themed after a miner in search of finding gold, and consists of symbols such as a Gold Nugget, A Miner, A Mule, Trolly full of Gold, and a Claim Owner. The Mine All Mine Slot features 10 Free Spins and a bonus round where the miner choses a tunnel and grabs gold as he proceeds via the tunnel. This game is a great game to get your Gold Rush fix now showing!! WGS Mobile Games Casino Software has been receiving updates since its mobile debut back in November 2014. Its mobile games list continues to grow for the recently launched mobile casino software. The WGS Mobile Games Casino Software was originally launched with 6 games. This included two table and 5 slots games to begin with. It has only taken just two months for the software to add 3 new slot games. The games include Funky Chicken which is a 5 Reel 25 Payline slot game, Hot Roller, another 5 Reel 25 Payline Video slot and lastly the exclusive casino software game Amazing 7’s. Amazing 7’s is a multi coin option based slot game that has become a big hit with its players because it increase their chances of winning bigger prizes. Its all great additions to enhance the WGS Mobile Games Casino Software experience. WGS Technology has done it again by developing one of the best mobile casino software platforms available for USA players. WGS mobile casino team has been working very hard to make this product the best mobile casino software to compete with its already popular download and flash casino software. The mobile casino has been developed using HTML5 which allows it to be browser based and do not depend on an app to function. The mobile version of the casino software is very clean, crisp and an easy to navigate. It replicates that of the desktop version with a full functioning cashier all at your finger tips anywhere you go. The application is functional on the popular mobile browsers such as Safari Mobile, Chrome Mobile, Opera Mobile and Dolphin Mobile just to name a few. WGS Mobile Casino Software has been launched with Blackjack, Video Poker Jacks or Better, 5 Reel Amanda Panda Slot, 5 Reel Funky Chicken Slot, Amazing 7s, 3 Reel Wheel of Chance and 3 Reel Cash Grab. WGS indicated they are committed to adding new games to this channel of casino software to ensure they remain the best mobile product on the market. The Best Mobile Casino Software is available at the popular Liberty Slots, Lincoln Casino and Miami Club Casino. To play the casinos on your mobile device just click here on your mobile device and or click on a preview below. Jesters Wild Slot is the latest slot game included in the October WGS Technology releases. Jesters Wild slot is an exclusive slot game available only at the WGS Technology Casinos such as Liberty Slots, Lincoln Casino and Miami Club Casino. Jesters Wild is a 5 Reel Video Slot with a coin option to increase your wins with some new added features that have never been introduced in any of the WGS Technology Slot games. Jesters Wild Slot is an exciting new game with all the sounds and whistles of an entertaining slots party. Themed after the English Royal traditions of having a Jester to entertain the audience at functions and events, Jesters Wild Slot is no Joke!! Symbols include a King, Queen, Jack, Roulette Wheel, Keno Table, 9’s and 10’s. Free No Deposit Bonus is currently being offered to all customers who signs up at WGS Technology Casino Liberty Slots. That’s correct, no deposit necessary, all you have to do is claim it here by creating an account at Liberty Slots to get your free $10. Liberty Slot’s Casino is running this special Free No Deposit Bonus casino promotion for a limited time only. 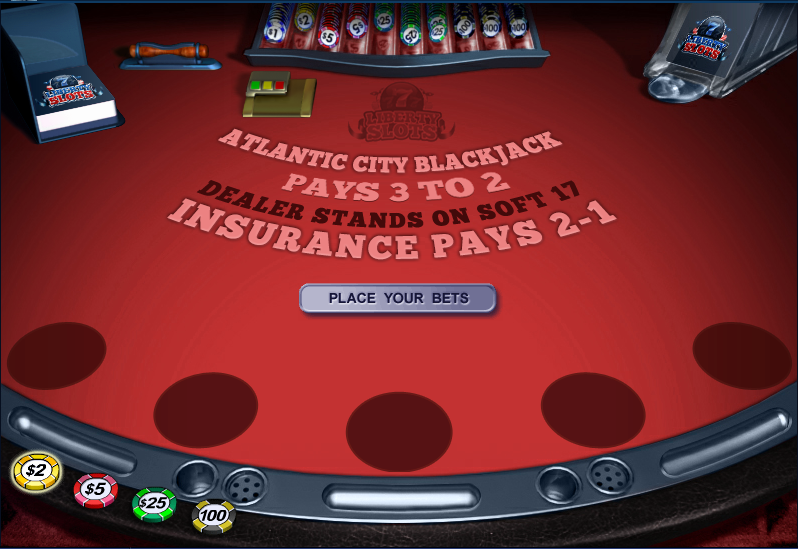 A unique coupon code is required to be entered into the casinos cashier to claim the no deposit bonus.